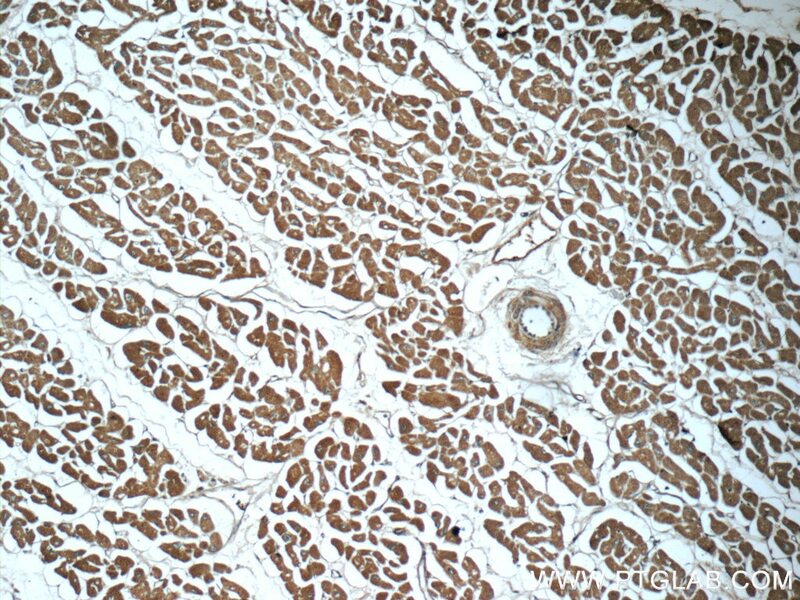 Immunohistochemical analysis of paraffin-embedded human heart tissue slide using 60357-1-Ig (Myocilin antibody) at dilution of 1:50 (under 10x lens). 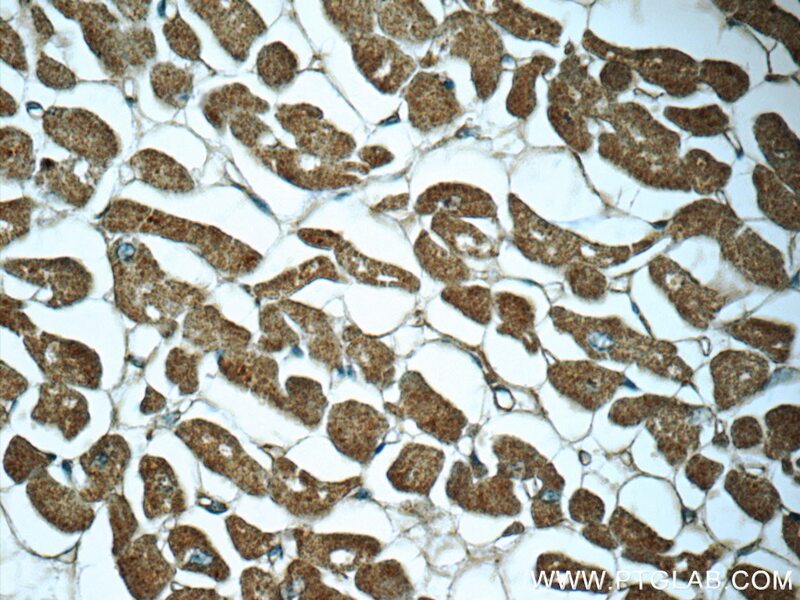 Immunohistochemical analysis of paraffin-embedded human heart tissue slide using 60357-1-Ig (Myocilin antibody) at dilution of 1:50 (under 40x lens). Myocilin (MYOC), also known as TIGR or GLC1A, is a secreted glycoprotein of the olfactomedin family, originally identified in trabecular meshwork cells after prolonged treatment with glucocorticoids, and, independently, in the retina (PMID: 9176893; 9169133). It may participate in the obstruction of fluid outflow in the trabecular meshwork. Defects in MYOC are the cause of primary open angle glaucoma (POAG) (PMID: 21709622). 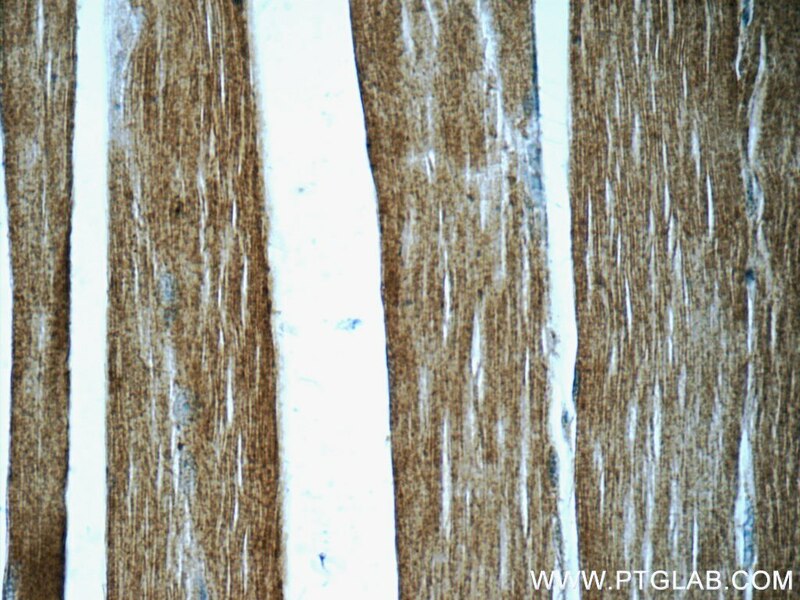 Immunohistochemical analysis of paraffin-embedded human skeletal muscle tissue slide using 60357-1-Ig (Myocilin antibody) at dilution of 1:50 (under 10x lens). 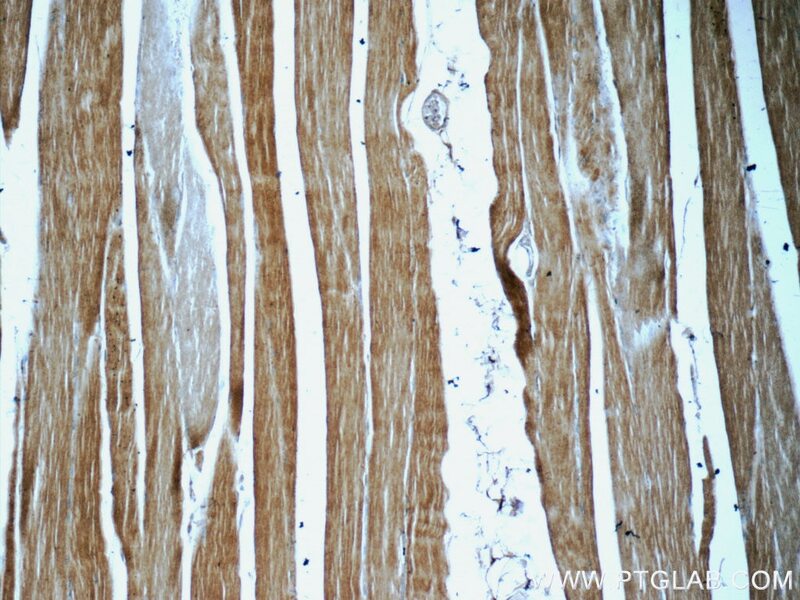 Immunohistochemical analysis of paraffin-embedded human skeletal muscle tissue slide using 60357-1-Ig (Myocilin antibody) at dilution of 1:50 (under 40x lens).